Your doctor has explained that you have colorectal cancer and has recommended treatment with chemotherapy consisting of two drugs called Oxaliplatin & capecitabine. Oxaliplatin is given as a short infusion into the vein of your arm. Capecitabine is given as oral tablets. You are required to take them twice a day for 14 days, followed by seven days break, and the cycle is repeated every 21 days. Before each course of chemotherapy you will see a doctor and have a blood test. If your blood count is low then chemotherapy may be delayed a few days. We have outlined the side-effects you may experience during treatment. It is important that you feel free to ask questions so that you understand what to expect and what to do. Most side effects of Capecitabine stop when you finish taking the drug. Although, capecitabine is generally well tolerated, occasionally, patients can get a severe and sudden reaction comprising of marked diarrhoea, dehydration and mouth ulcers - if this happens STOP THE TABLETS IMMEDIATELY and contact the oncology unit. Sometimes people can also have rare side-effects which are not expected or mentioned on this sheet. If in doubt ask. Diarrhoea; This chemotherapy often cause diarrhoea, which in most cases can be easily controlled with medication (loperamide or codeine). It is important to drink plenty of fluids and avoid foods which add to the diarrhoea. If you develop diarrhoea you should inform your medical team. STOP the capecitabine immediately if it becomes moderate or severe or the medications do not control it and contact the medical team. Angina: Very rarely capecitabine can cause spasm of the arteries around the heart causing angina - a crushing like pain in the chest possibly radiating down the arms or into the neck - if this happens stop the capecitabine immediately and contact the hospital. Nausea & sickness; This treatment does not normally cause sickness, but you will be given anti-sickness tablets to take home if required. In case you do experience some nausea you can find some self help tips in our lifestyle section. White Blood Cells (WBC). Shivering or shaking attacks of fever. If you feel hot or unwell check your temperature. If it is 38°C (100F) telephone the Hospital and they will advise you. Do not take Paracetamol or Aspirin if you have a temperature. A raised temperature indicates infection which could be life threatening. If you have a temperature or feel unwell contact your hospital immediately. 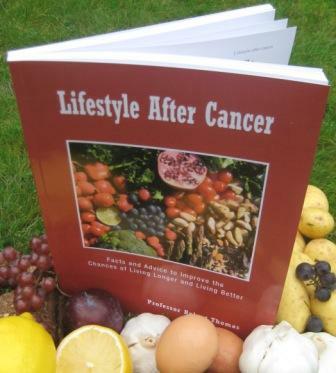 Weight loss; Weight loss may also be experienced by some patients during their course of chemotherapy , in these cases dietary advice should be sought. Hair loss; This chemotherapy does not usually cause hair loss but may cause temporary hair thinning which will recover after treatment, rarely enough to require a wig. Sore mouth; You may develop a sore mouth so it is important that you maintain good oral hygiene. A soft, baby toothbrush and a salt water mouthwash may help. If you develop red gums, a painful tongue or mouth ulcers that persist, then please contact your Hospital. Special mouthwashes can be prescribed to help you. Sore hands and/or feet; The palms of your hands or the soles of your feet may become red, swollen and sore. If severe, the skin will become flaky and your nails may become brittle and damaged. This is called Palmer-Planter Syndrome or Hand Foot Syndrome. You may be given additional medication by the doctor and/or rested from the Capecitabine for a while to allow your skin to recover. Fatigue; All chemotherapy can cause fatigue. As your treatment progresses you will experience this. You may find that gentle exercise such as a short walk each day (if you are not working) may help. Fatigue and malaise may last up to 2-3 months (or longer) after the end of chemotherapy. Staff at your clinic can discuss this further with you if you wish. Constipation; Some patients experience constipation shortly after the oxaliplatin infusion which may be due to the anti-sickness tablets. You should drink plenty of fluids, eat a high fibre diet and take gentle exercise. If this is severe you should contact your clinic or GP. Sensitive eyes; You may find your eyes become gritty, more sensitive to light and may start "watering". If this occurs your clinic may prescribe you some eye drops. Altered sensation; Some people notice altered sensation with slight numbness or pins and needles in the fingers or toes, especially if the hand get cold. Try wearing gloves outside and be careful taking cold drinks out of the fridge. This comes on slowly, is usually mild and will get better slowly after chemotherapy has finished. If the numbness is severe and stops you doing things (e.g. fastening buttons), your doctor may need to change your drugs or alter the dose. If you develop sudden numbness or weakness this should always be reported immediately. Occasionally, patients experience an uncomfortable numbness of the throat. This is usually brought on by cold drinks or weather. This is transient, it is important not to panic as, although you may not feel the air through your windpipe, you will still be breathing and using oxygen in the air normally. If this happens use a scarf and have a warm drink. Steroids; This chemotherapy is given with steroids (Dexamethasone) to help prevent sickness. Steroids have some side effects, including fluid retention, weight gain, wakefulness and sometimes agitation. If you suffer from indigestion you may be given tablets to prevent this. If patients are prone to "spots" or acne this can be made worse. Likewise they can temporarily upset diabetes or high blood pressure.